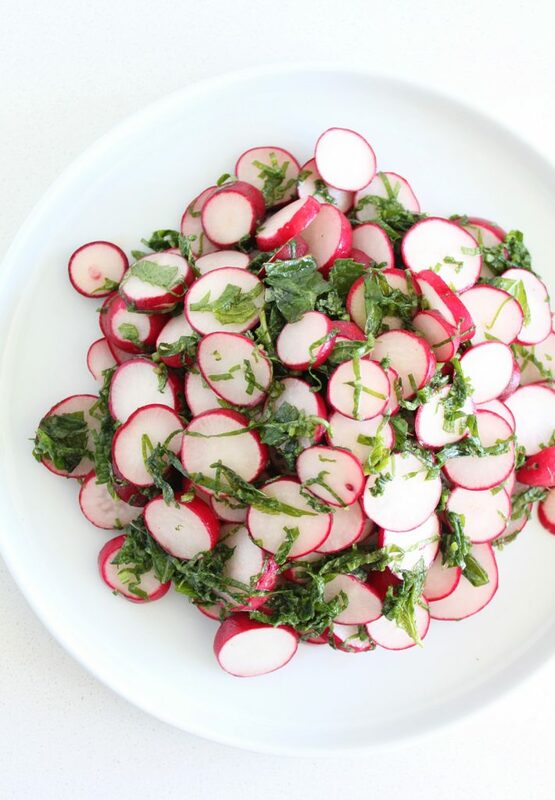 I do this now when he comes over, because a bowl of raw radishes is an easy pre-dinner snack to serve (I usually don’t even put out dip), it forces (encourages?) 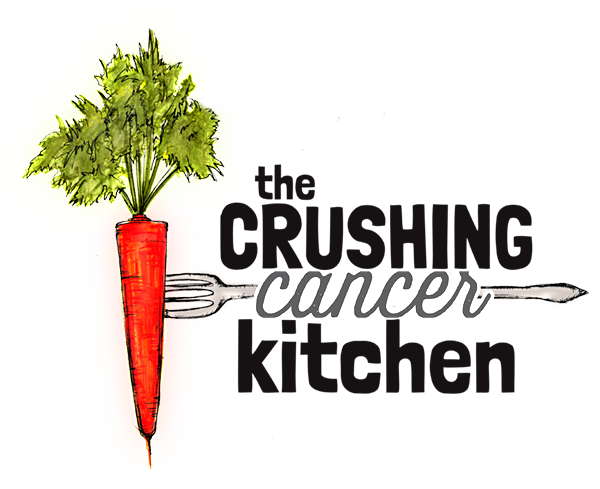 your guests (usually people who you care about…) to eat some healthy veggies that aren’t ‘baby’ (barely even) carrots and it doesn’t fill them up (my worst is when nobody eats dinner because your appetizers were so awesome/filling). 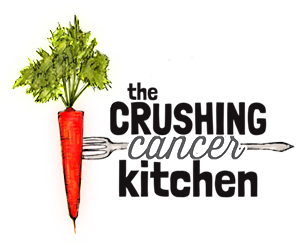 They are also a less obvious part of the cruciferous family (along with kale, cabbage etc) who scream loudly ‘F%$K CANCEEEERRRrrrrrr’ as they get chewed up and swallowed (only dogs and five month old babies can really hear it). So while we are all focusing on broccoli and Brussels sprouts, there is this whole Christmas ornament-like vegetable that we could also be making part of our daily diet. If I’m not putting them out solo, I’m definitely making them one of or even the only dipping vegetable on a crudités platter (like we did here with our Sun-dried Tomato Pesto Dip) (you MUST try this, it will fill up your guests but they will polish off all of the radishes) (and ask you for the recipe) (and hang a picture of you on their wall) (probably). They are GORGEOUS, pepper-y and opinionated and go very well with a balanced, seasoned, rich dip. 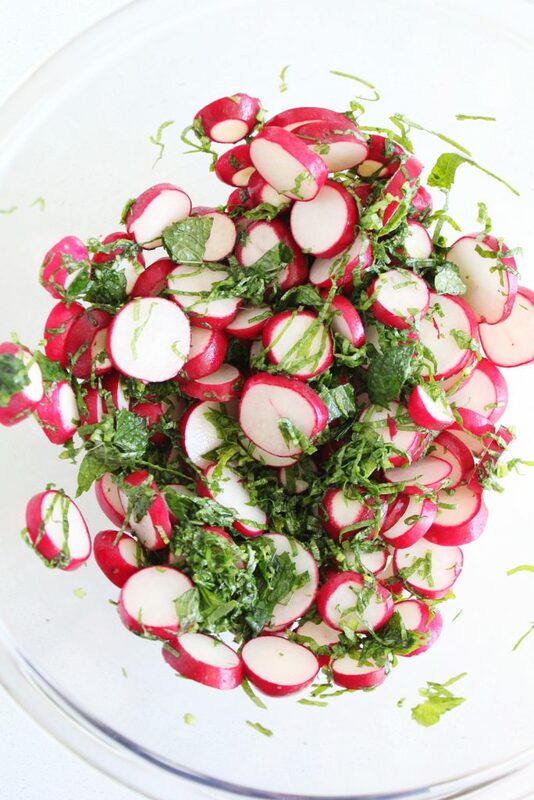 I also sub in radishes for the cucumbers in this recipe for a lighter option. 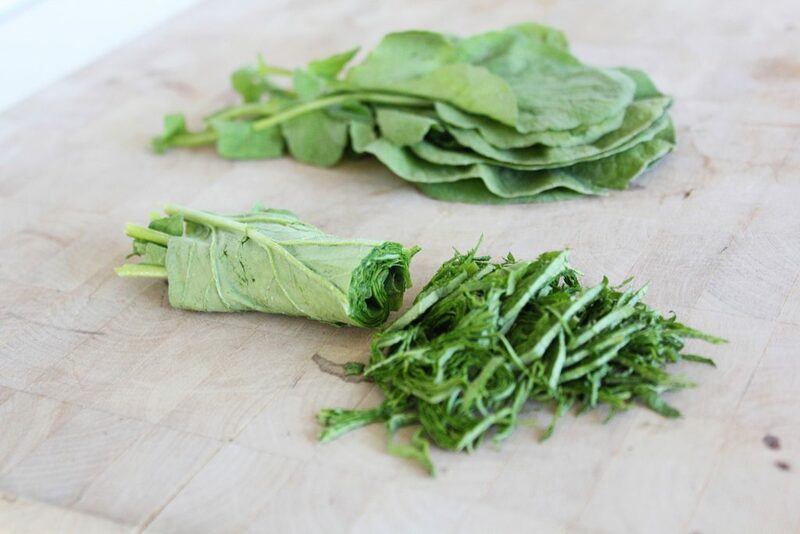 As mentioned, these beauties aid digestion so it makes sense to serve them alongside any meal. I just sang the praises for being a little bit lazy (clever?) 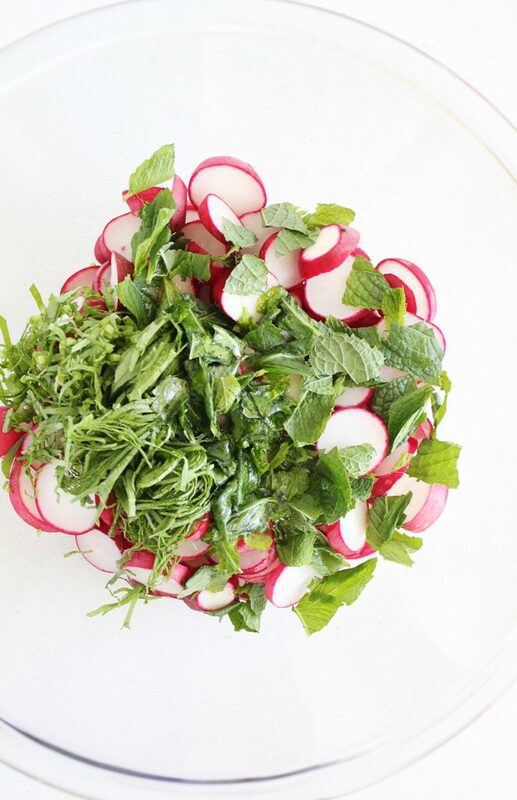 about it, but this salad takes it (only!) one step in a fancier direction. It’s still the simplest thing to throw together. My baby daughter has decided that naps are for the weak, so she ‘helps’ me in the kitchen instead, by hopefully not crying and just looking bottomless amount of cute and chubby (eating, apparently, is for the strong). I made (and shot) this whole salad while singing ‘we’re going to the zoo, zoo, zoo’ over and over again. Radishes may forever remind both of us of all the monkeys swinging in the trees, but we got it done so quickly that we still had time for some magic carpet rides and breakfast number three before her next fake nap. 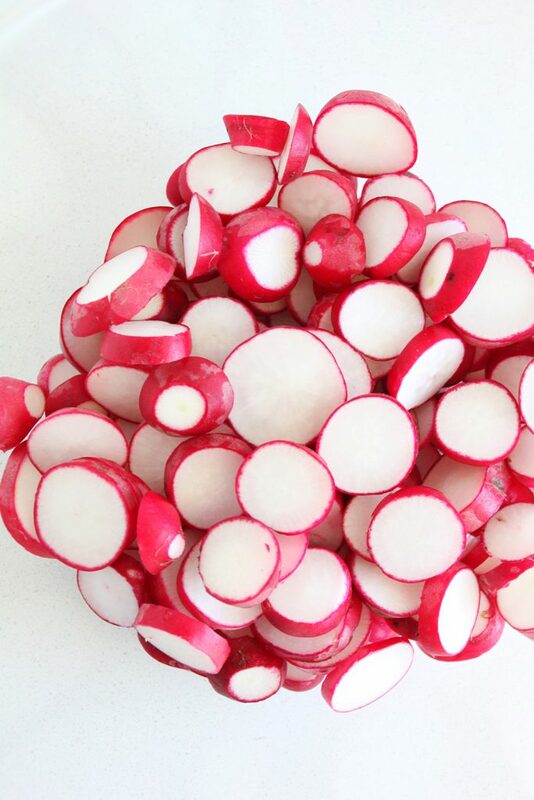 We slice the radishes into fat rounds because I think they taste juicier that way. 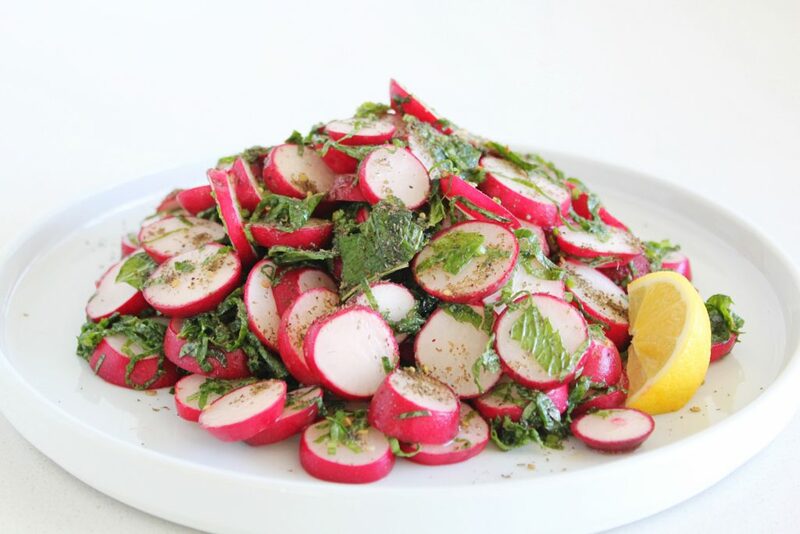 Any radishes would work in this salad, look for the colourful Easter ones at the Farmers Market or the thinner French ones (cut these in half, on the bias). 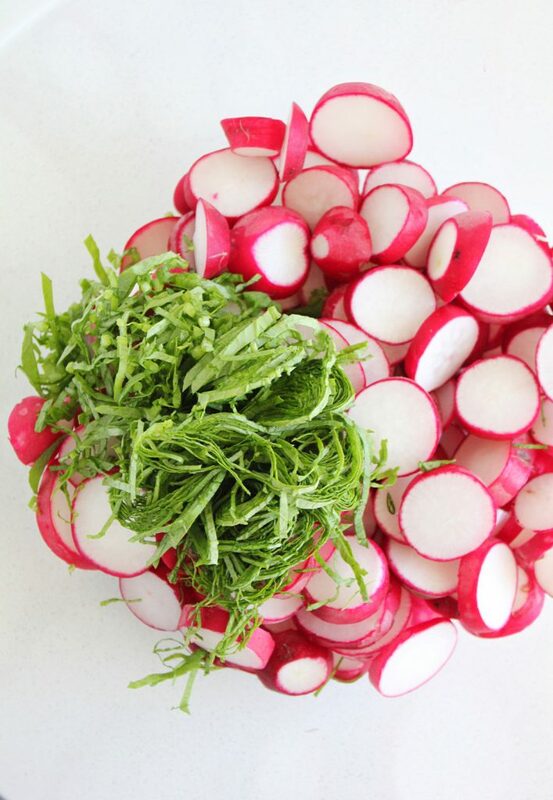 We thinly sliced some of the totally edible radish greens to add in too. 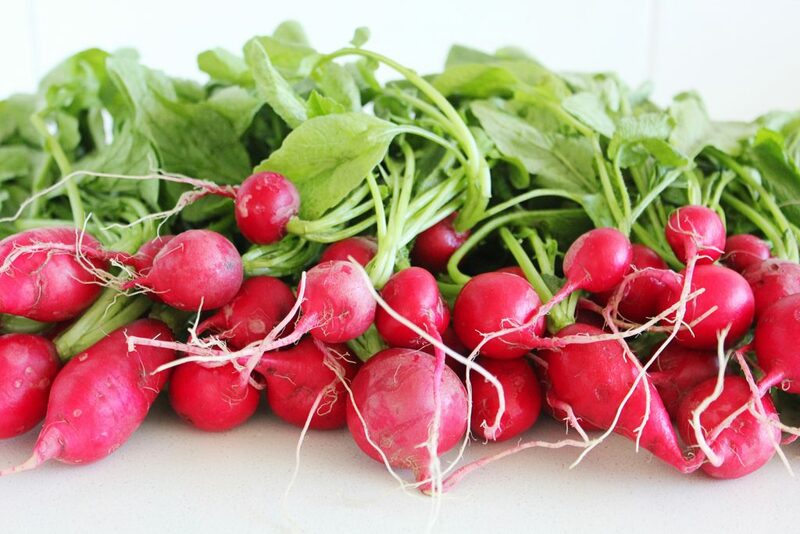 They taste like radishes if radishes were a leafy green (go figure), plus they contain all of the pigment power found in leafy greens! Also, who doesn’t love a two for one vegetable? I made this the other night to go with our Mushroom and Lentil Burgers. 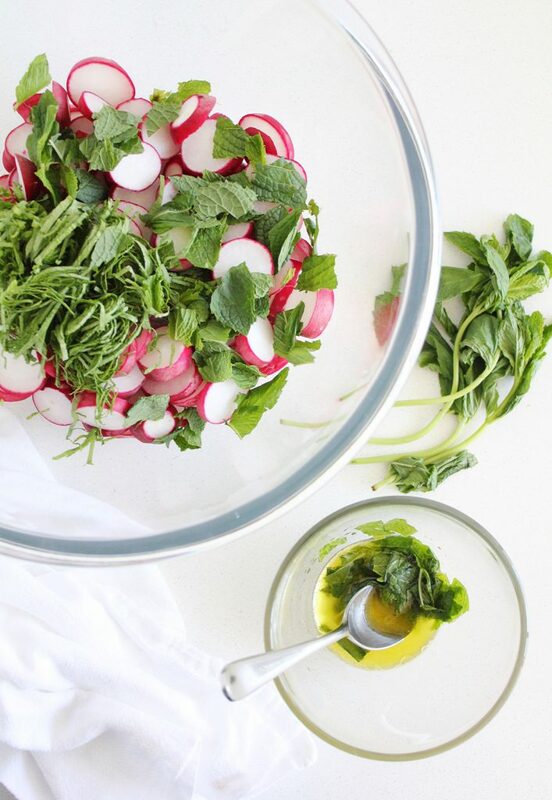 It was the perfect, crisp and crunchy, watery freshness to accompany those rich and earthy burgers. It was pretty perfect and made for a great lunch the next day too. 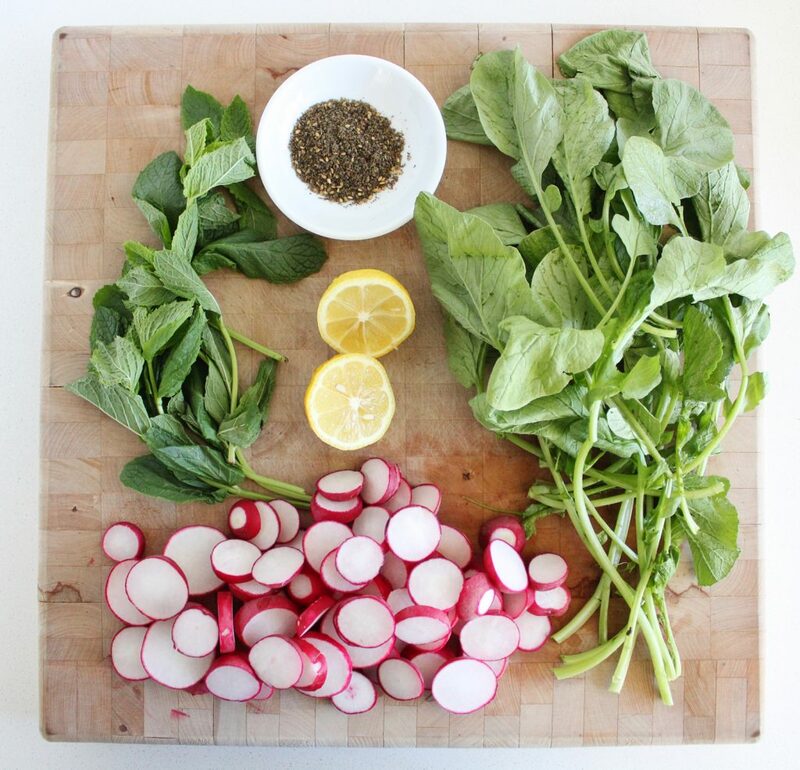 Mix the vinaigrette ingredients together first (this sort of pickles the mint and pulls out more flavour) and then toss with the rest of the salad, reserving the za'atar for sprinkling on last. 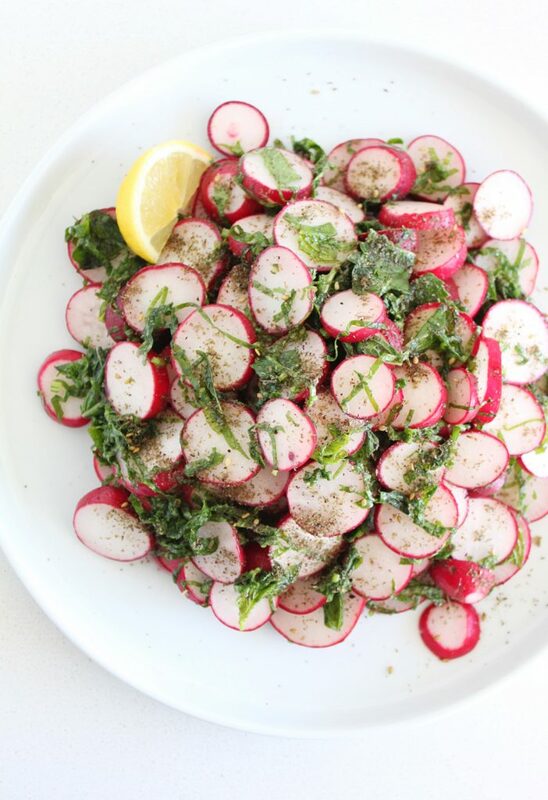 I love radishes and this looks really yummy! I didn’t know about the greens. Your photos are great!